3. We manufacture all kinds of powder coatings, such as Pure Epoxy, Epoxy/Polyester, Polyester/TGIC, Polyester/PRIMID, Polyester clear powder, Acrylic Powder and Polyurethane etc. We manufacture all kinds of powder coatings, such as Pure Epoxy, Epoxy/Polyester, Polyester/TGIC, Polyester/PRIMID, Polyester clear powder, Acrylic Powder and Polyurethane etc. Our company has 8 sets of product lines and all the necessary measurement equipment. The annual capacity is 10,000 tons. 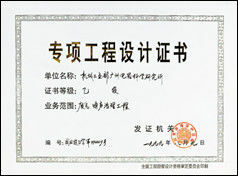 In 1998, we received the ISO9001 certificate and in 2005, the ISO14000 certificate. We can supply products and service from the pre-treatment process, the raw material (powder coatings, paint and polyester resins) and outfit equipment (Spray production line, galvanizes production line and laboratory). So far our products have achieved great progress in many areas, including household appliances and auto-wheel and furniture markets. We maintain a high reputation by ensuring that all our employees are highly specialized in this field of work, are very professional and provide excellent customer service. We manufacture all kinds of powder coatings, such as Pure Epoxy, Epoxy/Polyester, Polyester/TGIC, Polyester/PRIMID, Polyester clear powder, Acrylic Powder and Polyurethane etc. We manufacture all kinds of powder coatings, such as Pure Epoxy, Epoxy/Polyester, Polyester/TGIC, Polyester/PRIMID, Polyester.